THE opposition People’s Democratic Party (PDP) party has hauled the Zimbabwe Electoral Commission (ZEC) and its Chairperson Justice Priscilla Chigumba to court seeking an order to stop the elections management body from posting ballot papers for the presidential election to applicants who have applied for postal voting and to redesign the ballot paper. 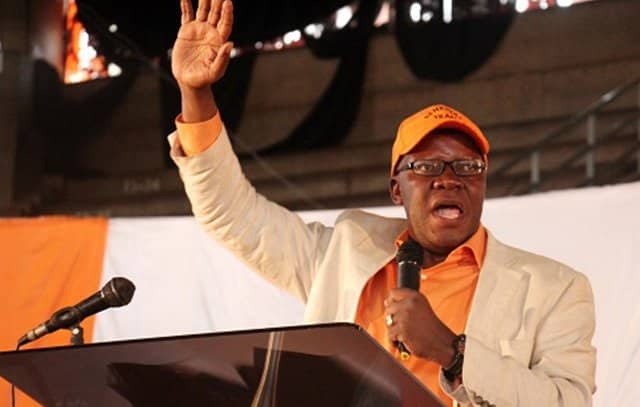 The Tendai Biti-led PDP party filed an urgent chamber application in the Electoral Court on Wednesday 18 July 2018 seeking an order to stay the use of the current presidential ballot paper designed and printed by ZEC and for the elections management body to take some corrective measures. PDP, which is represented by Tonderai Bhatasara of Zimbabwe Lawyers for Human Rights, argued that the way ZEC designed the ballot paper for the presidential election gives unfair prominence to another candidate to the prejudice of PDP’s own candidate, who is Nelson Chamisa of the MDC Alliance. The opposition political party argued that the ballot paper that was designed by ZEC and is being distributed by the elections management body for the forthcoming presidential elections is inconsistent with the Constitution, the Electoral Act and the electoral guidelines. ZEC and Justice Chigumba, the PDP argued, have not given contesting political parties and presidential candidates access to the ballot paper to allow them to participate effectively in the electoral process in contravention of section 155(2) (c) of the Constitution and had also proceeded to conduct postal voting for the election of a President without presidential candidates having access to the ballot paper. PDP argued that ZEC made, designed, produced and printed a presidential ballot paper that is not in the prescribed form as provided in section 57 of the Electoral Act and its regulations. The opposition political party charged that ZEC and Chigumba’s conduct is in breach of section 156 and 68 of the Constitution and hence there is urgent need to preserve the transparency, integrity and credibility of the electoral system. PDP wants the Electoral Court to order ZEC to design a ballot paper for the 30 July 2018 presidential election in the manner prescribed by the law, where names of the candidates are listed in alphabetic order, one after the other, until the last one.